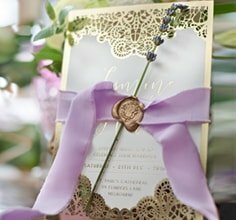 This remarkable invitation design has been crafted using a distinct black laser cut floral pattern which serves as a sleeve to encase the top quality metallic inner paper. The luxurious design is then finished with elegant raised ink printing and a subtle yet sleek satin ribbon. 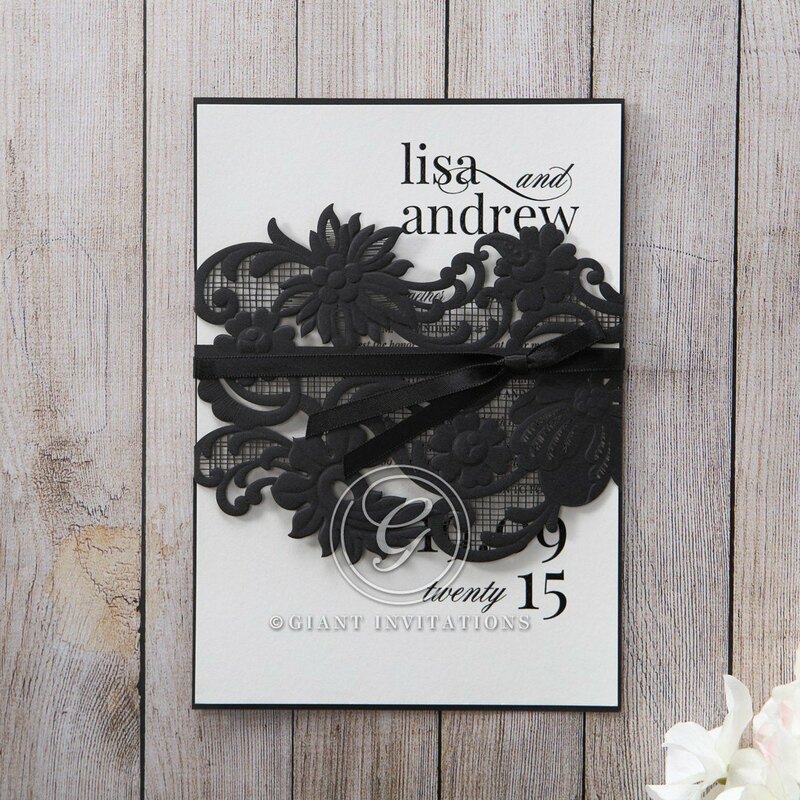 This invite is ideal for formal celebrations from engagements to weddings.